Who doesn’t like a hot cup of tea on a rainy day? Yes, tea is often touted as a comfort beverage due to its calming effect. In Indonesian homes, tea is a kitchen staple as it is a common to offer a cup to guests who are coming over. Unlike coffee that has a strong flavour, tea, with a smooth aroma and aftertaste, is arguably easier to enjoy by many people of any age. It is no exaggeration to say that tea is a natural treasure as many studies show plenty of health benefits in drinking tea, from protecting your body against cancer to improving your skin condition – there are plenty of reasons to drink tea. Luckily for us, tea is easy to come by and is available almost everywhere, from a simple warteg to your favourite fancy restaurant. 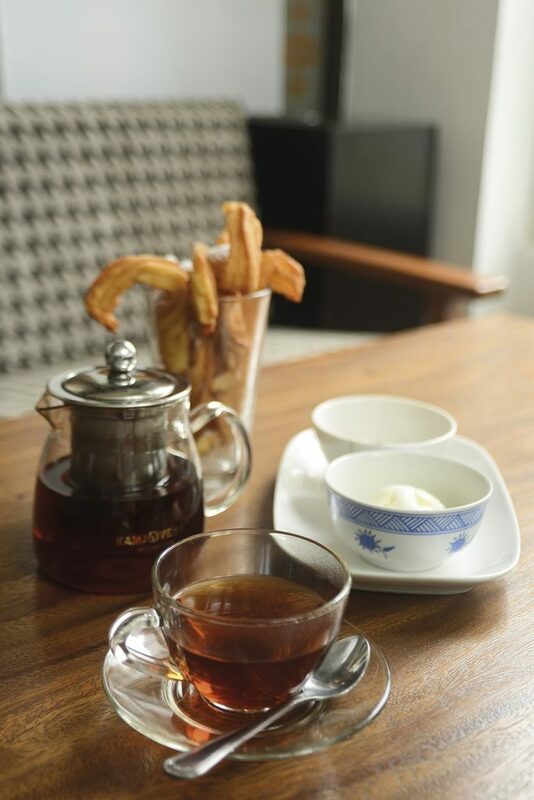 This month, we have rounded up some of the best places to enjoy a cup of tea in Jakarta. 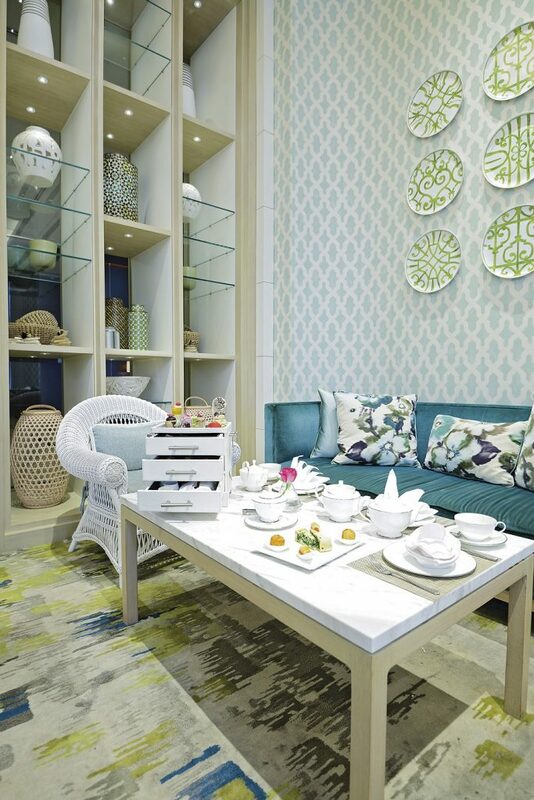 These places share some similarities; in addition to a pretty decoration, they are soaked in the pleasant and refreshing scent of freshly-brewed tea greeting you the very moment you step inside. Located in the heart of Kemang, there is perhaps no better place than Clea Tea Bar & Lounge to have an afternoon tea when you are in this neighborhood. 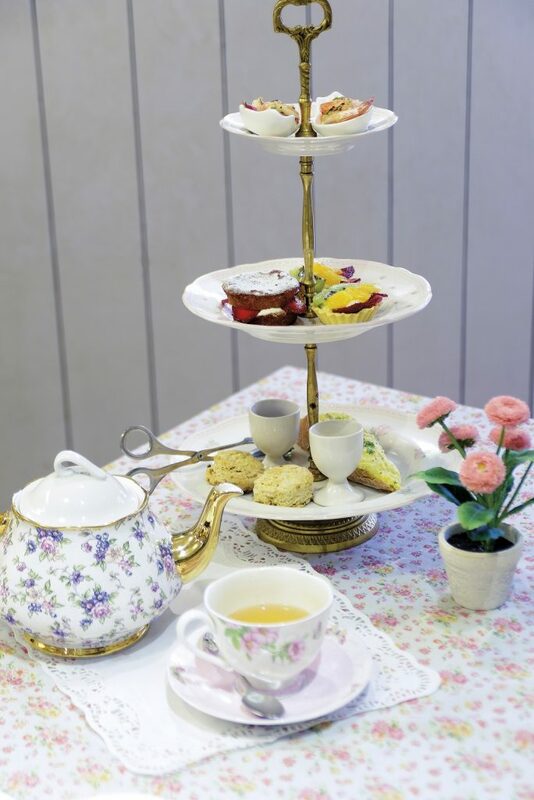 Interestingly, the tea lounge is adjacent to a flower boutique under the same name, which only adds another reason to visit Clea as you can drink tea and dine while enjoying the colourful flower display. Although Clea doesn’t serve a classical high-tea set, the tea selection here is quite varied, from classic black, green and white teas to fruit-flavoured and herbal teas. This establishment, which only recently opened its doors, is named after C.S Lewis and Lewis Carroll, two writers and heavy tea drinkers whose work have inspired millions of people. Aiming to introduce the art of tea drinking to the young generation, Lewis & Carroll Tea displays a variety of tea leaves with a detailed description on a long table in the middle of the dining room for everyone to take a look and learn more about different tea varieties. The tea house offers twelve tea categories; Black, Black Blend, White, White Blend, Herbal, Green, Green Blend, Oolong, Oolong Blend, Spice, Fruits, and Flower. 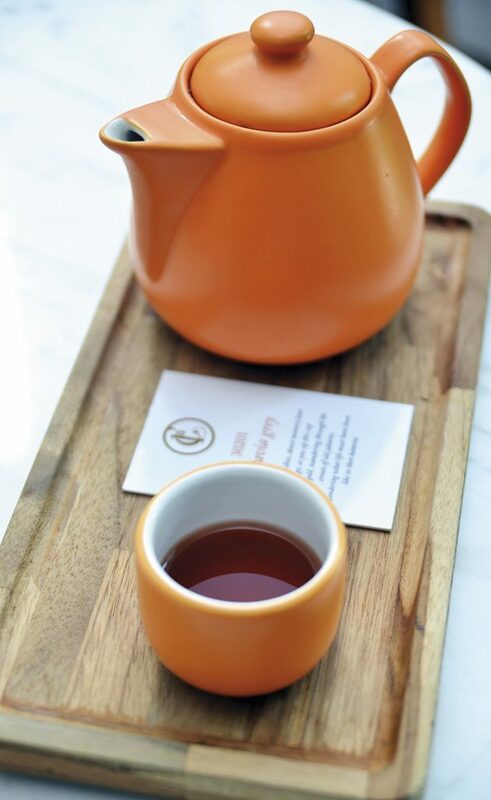 To make sure each cup is served with perfect quality, Lewis & Carroll promises to use only exceptional ingredients from Indonesia and abroad to later be processed delicately by experienced tea artisans. For those who want to learn more about tea, Lewis and Carroll occasionally hold special events like “Tea Blending Classes” and “Tea Appreciation Classes”. If you happen to be around Senopati and are yearning for some relaxing tea time, head to Bradley’s Tea House, situated at the Jalan Surya intersection, next to Mojo Restaurant. Taking inspiration from classic English tea lounges, Bradley’s Tea House is decorated beautifully with a sense of vintage and Victorian style. Although the venue is not too spacious with a seating capacity for up to 45 guests, the tea house could be the perfect place to host your private events like birthdays, bridal showers, or baby showers, thanks to its comfy and lovely ambiance. Committed to its name, Bradley’s Tea House only serves afternoon tea sets and snacks, with limited a la carte food options. It carries a familiar tea selection from England like Earl Grey, Darjeeling, Prince of Wales and English Breakfast as well as a small number of local tea options including Nayara White, Malabar Black and Oolong. Peacock Lounge at Fairmont Hotel Jakarta may be pricier compared to other establishments, but you will not regret a visit to this place. Boasting an impressive interior design and predominantly white furniture conveying a sense of home, Peacock Lounge cooperates with TWG to provide them with a vast selection of premium teas. We recommend you to try The Peacock Signature For Two, consisting of two hot teas or coffee with a generous selection of delicious savoury and sweet treats, that are definitely worth every penny.